Learn all about Federal student loans, its advantages, forgiveness plans, income-based repayment, interest rates, and discharge options. Choose the best option from here. It's not a big deal and secret that the present cost of college is way higher than the earlier times. Due to the increasing costs of college, students are moving towards getting a student loan to cover the tuition costs. It has resulted in a large student loan debt trap which needs to be addressed. Hence, federal student loans can be a good option as they offer lower interest rates for students. There are plenty of student loans available for college and university students. The federal student loan seems to be the one which is flexible offering a lower cost, especially for the students. Right now, there is only 1 category in the federal student loan which shares the new loans within their programs where different types of loans prepared exclusively for each one based on the school level and income. These loans are designed especially for undergraduate students who are in need of financial support. They can borrow up to a certain amount for every year for the school. Where other loans under this program the interest on the loan won't be charged when they are in school. These unsubsidized loans are used by students from the undergraduate, graduates and professional degree students. Where the subsidized loans come with a limit on the borrowing, here the interest will start to accrue when you are in the school itself. This loan is directed towards the parents of the undergraduate students who will be paying behalf of their children's education and the students who are pursuing graduation or professional degree. The loans taken by the parents are known as Parent PLUS loans and the loans taken by the professionals are known as Grad PLUS loan. The Federal Direct PLUS loan will help you to cover the total cost of attendance. There are other types of federal loans available where you can combine (consolidate) your existing loans into a single one. For one monthly payment with the Direct consolidation loan, if your loans are not eligible for Public Service Loan Forgiveness (PSLF) then the option is consolidating them into a direct consolidation loan for qualifying it. 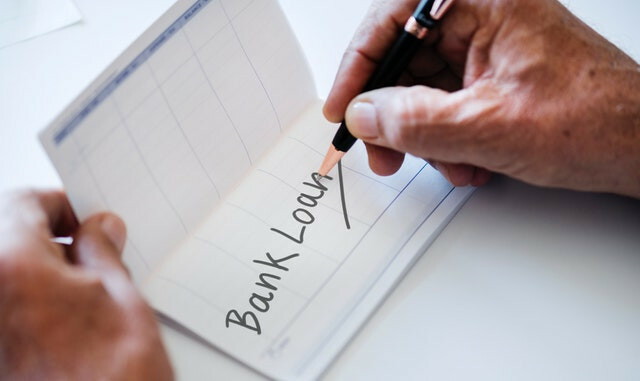 The interest rate on private loans are based on the market condition but in the federal loans, it's determined by the U.S. Congress, which decides it based on the legislation connected to the financial market. Interest rate usually varies from time to time but it gets stable when the lender disburses the loan. Whereas, it will be stable and cannot be changed unless you are planning to pursue a student loan refinancing. The following are the interest rates of federal student loans distributed in 2019. For a federal student loan, you must complete filling the Free Application for Federal Student Aid (FAFSA). The FAFSA application will let you know about which financial aid program you're eligible for, according to your school and state. You can determine the aid that you receive. You can be eligible for these only if you have completed filling out the FAFSA. You are required to complete and submit the application every year to get eligible for the federal aid if your situation has not changed and you still need the financial assistance. It is available every year of October 1st and the submission deadline changes depending on the schools and states. It's always a better idea to get it done as soon as possible for every year. Where Federal student loans don't require a co-signer or a guarantor for the debt that you take, you are qualified for most of the federal loans even if you had a poor credit score. The foremost important eligibility for the loan is you should be attending a college. How to apply for Federal student loan for college? Applying for a federal student loan is free. To enter into it, you are required to fill out the Free Application for Federal Student Aid (FAFSA). In addition to the student loans they provide, you will be eligible for other perks such as grants or work-study, based on the information you provide in the form. The simplest and quickest way to get a file the FAFSA is through online mode. The application will take 3-5 days to process. You can also apply for it via mail through a paper-based application which takes 7-10 days to get it processed. It is a free process and if someone asks for payment then you are at the wrong place. What happens after the submission of FAFSA? After the submission of your FAFSA, it will be sent to the Student Aid Report (SAR) where you get basic details on the eligibility for federal student aid. The college/university you mentioned in the FAFSA application will also have the information which they will make use of to determine the amount of federal grant, work-study or loan. You may even qualify for grants, if not the loan. The college that you choose will send a financial aid award letter stating the financial aid, if you are eligible to receive where it consists of federal student loan, grants, and work-study. The federal aid received will vary from one to another school based on the cost of attending the school. The Federal student loan has certain advantages and perks than private loans as it can make it easier for you to manage the debt and avoid the struggle of affording your monthly payments. If you are not able to afford the monthly minimum payments of your loan then you might qualify for the income-driven repayment (IDR) plans. In the IDR plan, the lender usually sets the payments of yours based on the discretionary income. Under any other circumstance such as disease or birth of the child the payment might go down. Some people even qualify for payments with $0 in the IDR plan. After the time period of 20 to 25 years with qualifying payments, the government might consider you for the forgiveness of the remaining payments of the loan. The balance amount that gets discharged will be considered into taxable income but eliminating the loans can be great worth in some point. The IDR plans might be short term solution if you are stuck with the entry-level salaries with a larger timeline approach towards your debt management. If you are extending the repayment period for 2 decades then you will be paying more in interest over the duration of your loan. If you can't cope up with your payments then you might be eligible for a deferment or forbearance. These options will allow you to hold down your payments on the loan without any penalty for the hold. If you are going through a hard time like losing a job or are suffering from a serious illness, you would, of course, need to delay your payments till you recover. Student loan forgiveness option is only available for the Federal student debt holders. These are qualified based on some criteria such as if you are working in a Public service area, then the government provides you offer on programs which allow for loan forgiveness. The people who work under a non-profit organization or the federal government might be eligible for the PSLF program. If you're under a qualifying job for a timeline of 10 years with proper qualifying payments then your remaining payments debt can be forgiven. Furthermore, the different federal loan forgiveness programs for teachers can really bring big on the savings of your student loan debt. Based on the eligibility it might be full or part of your loan which will be considered for forgiveness, after teaching for a period of 5 years. Under the private loans, if the school of yours fail by closing down when you're enrolled in the program, or soon after you withdraw, even then, you are required to make the payments towards your loan. You are not eligible for the student loan discharge program. Whereas, in the case of federal loans, it has several discharge programs which are defined by the government to provide support to the borrowers. It is offered to the disabled under total and permanent disability discharge. You can also get a loan discharge if your school closes. This can only happen if you're enrolled in any program while it closes, or have withdrawn from the school. Federal student loans are canceled under certain circumstances where you get it canceled due to the problems with the school that you are in. Well, it's can't happen in general terms, just because you don't like the school you are enrolled in. There are certain specific requirements that are needed to be addressed in terms of school-related discharged. Other cancellation may be there because of the availability of the work on a certain period of time under the public service jobs. Which also includes the military services members. Further, the category is available for borrowers who have serious disabilities due to which the debt cannot be passed. Then you need to apply for a loan cancellation with the help of the government forms which can be really important with exceptions to this rule as for certain borrowers who can be eligible for this directly if their school closes. 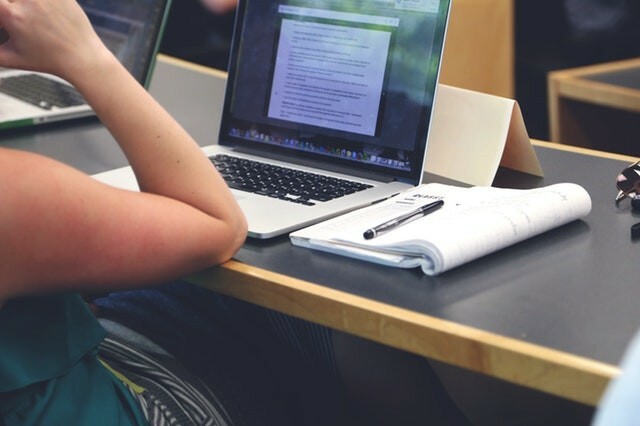 There are several benefits of federal student loans which are given below. Under any student loan from a private or federal institution, you have to pay back the loan with the interest that accrued in the period. But, in the case of federal student loan, it gives you more flexible options than the private one. The federal student loan allows the borrower to change their repayment option after it has been distributed to the school. Federal student loan allows you to go for income-driven repayment plans where it will cap the payments of the borrower's income based on the household and the members available in the family to set an amount to pay the loan. For a private student loan, it requires borrower's credit history and it should be a strong one. It is not the case of federal student loan, where no history of credit is looked into, which is really helpful for students who have completed high school and are willing to move to college as they don't have time for building credit. Following are the federal loans and their respective amounts offered to the students. How much can you borrow in federal student loans? It varies and difference based on the undergraduate, graduate and professional students or parents. Undergraduates students can borrow a maximum of $5,500 to $12,500 per year under the Direct Subsidized Loans and Direct Unsubsidized Loans depending on the year and school you are in. Graduates or professional students can borrow a maximum of $20,500 per year under the Direct Unsubsidized Loans. You can use direct PLUS Loan for the remainder of your college but it's not covered under other financial aid. One best thing about the student loan debt is that you can deduct the interest from your taxes. You might be receiving modest tax benefits once if you pay your interest on the student loan from the last year. You can claim all the interest that you have paid to the federal student loan. Up to $2,500 can be deducted. After claiming the deduction of interest, you can lower the income which can be taxed by the government. For this, you can lower it for up to $2,500 under the deduction. This deduction can be applied to the payments that are required by the lender as well from payments made by voluntary. The more you pay in, the more you can deduct which usually helps in deducting all the interest that you have paid off on the student loan till you pay it off completely. In Federal student aid, they have contracts with several organizations to manage it and then service the millions of federal student loans. These are responsible for collecting the payments on the loans that are advising the borrowers to get resources and benefits to get better management of their federal student loans commitments to respond to the customer's services inquiries and do the performing activities and other administrative tasks which are associated within the management of loans on behalf of the U.S. Department of Education. 1. Who qualifies for Federal student loans? The students who hold a valid social security number, be a citizen or qualified non-citizen with a permanent address, fill out the Free Application for Federal Student Aid and enroll in an eligible school. 2. How do I get Federal student loans? To get a federal student loan you are required to fill and submit a Free Application for Federal Student Aid (FAFSA) form. With the results from the FAFSA, the college or school will get in touch with you along with the financial aid offer which comes with the federal student loan. 3. What are Federal student loans? The loans from the federal government are Stafford Loans. They are very common. The types are - Direct Subsidized and Unsubsidized. Others are Direct PLUS and Consolidation loans. 4. What is the maximum amount of student loans you can get? The maximum money that you can get under the Direct Unsubsidized and Subsidized loans range from $7,500 and $5,500 in the case of Subsidized (this is for the undergraduate and graduates). Maximum of $31,000 and $23,000 can be given in the case of Direct Subsidized loans (this is for the career-oriented loan for professionals). 5. Can you be denied a Federal student loan? You can always borrow from federal education which is cheaper and has better repayment periods with fixed interest rates. They don't require a credit score to process the loan. Even if you have no credit and income you can still get a Stafford loan. 6. When should you apply for student loans? In order to access the federal loan, you need to fill out the FAFSA in the given timeline. The deadline for the FAFSA is very forgiven it will take time to reach in the school year. If the deadline for 2018-2019 is said between the June 30th of 2019. So, its always better to apply as soon as it opens around the 1st of October. 7. What credit score is needed for student loans? Generally looking at the loan provides mainly private and federal student loan providers were in the case of federal student loan you don't need or require for credit score all they look in for the admission in any school or college. But it's different in the private loans you need to have a credit score on the application process and typically you need to above 650 in the FICO score below that is very tough getting one. 8. 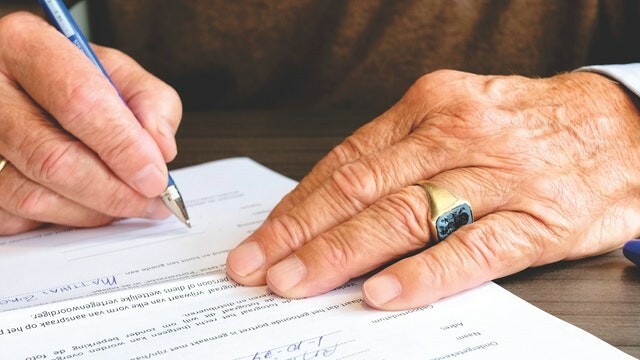 Do parents have to sign for student loans? Federal Stafford loans are committed to the students and hence they have to repay these loans. Parents are not responsible for the loans that are taken by their children and they cannot co-sign them in the federal student loans. 9. Can an 18-year old take out a student loan? Your parents will be responsible for the education loan if they co-sign it with your loan. But, for the federal student loan, you don't need a co-signer and moreover, even if you are under the age of 18, you can still apply as the defense of infancy doesn't apply here. 10. Do you have to claim student loans on taxes? FAFSA have made these loans listed as an award and it's never been taken into consideration of taxable income. Whenever you start to repay it then it may qualify for a student loan interest deduction. If your income is less and you are using it only for the school then it may be.